Washington DC doesn't have to be that way...! 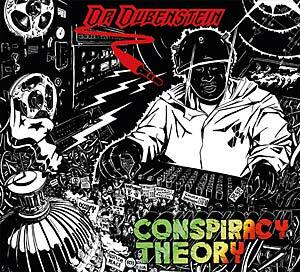 On his debut album, Dr. Dubenstein hits listeners with discourse dub with a conspiratorial touchdown - thus easily garnering themselves the accolade of being one of the most interesting acts of their genre in 2017. Cushioned by a thick blanket of conspiracy theories, Derrick Parker, aka Dr. Dubenstein, climbs up out of his misty cave into the dazzling daylight and entrances listeners with a dreamy, sure-handed mixture of roots, psychedelic spirit, and electronic tinkering that guides us unerringly to an altered state. It's almost like the soundtrack to a new world order - this is cinematic dub by people who really know what they're doing. The former employee of the legendary RAS Records Labels from Washington DC gathered up some high-carat collaborators to join him in his submarine. 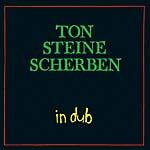 Formidable musicians from Steel Pulse, Dub Syndicate, and Roots Radics jam and conjure up heavily rolling rhythms - and rumor has it that there were even Wailers warhorses were involved in the project to add some melody. The complex balance between roots and discourse dub is an art that only few have mastered. The track "Flabba's I Pad" (which refers to Flabba Holt - bassist of the legendary Roots Radics) opens with promising beats and loops that have been given lavish mechanical treatment and which are a sheer joy to hear. In big, spacious arrangements, catchy stoned tunes come zipping around the corner and unite tradition and modernism. Dr. Dubenstein (whose studio is in Washington DC) has delivered a deeply impressive album that sounds like an infinite loop and is simultaneously fresh, new, and appealing. Features: Rootsy Nassir, Rebecca Waller, Nesta Lion, Solana Carrega, S Vidal Quintero, and Scott Paynter.